Although I won’t be formally joining the lab until January, my informal transition has already begun. 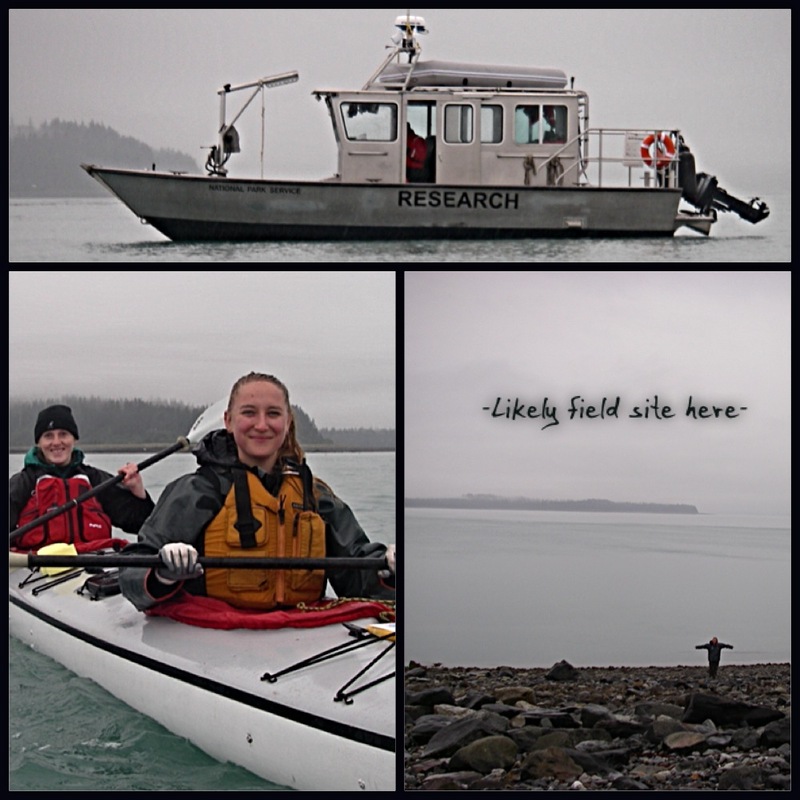 Luckily for me, my tenure at as graduate student started off with a fieldwork cruise! In September I joined the crew of the Bell M. Shimada to assist with the deployment of one of ORCAAlab’s Ocean Noise Reference Station (NRS) moorings. The focus of my graduate research will be to analyze recordings from the NRS project, so it was exciting to have the opportunity to help out with a deployment. This is a map of the NRS deployments. On the Shimada I helped deploy NRS03. The Ocean Noise Reference Stations will be deployed in NOAA Marine Sanctuaries and some other US marine areas of interest. 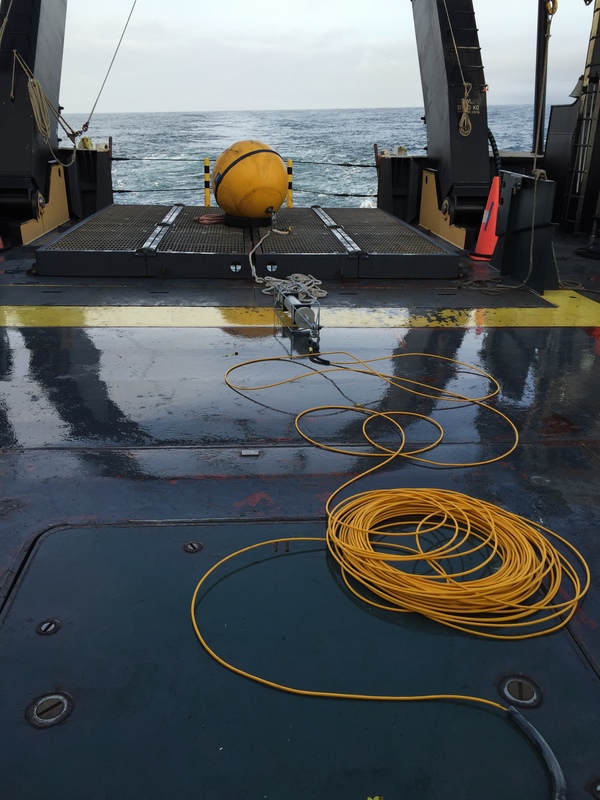 We hope that the recordings from these moorings will allow us to compare ocean soundscapes and monitor long-term changes in a new way. Currently, many different types of autonomous recording units (ARU) exist and are used by passive acoustics research groups. While this is excellent for documenting ocean noise in isolated areas, different recording technology and mooring design make it difficult to compare soundscapes. 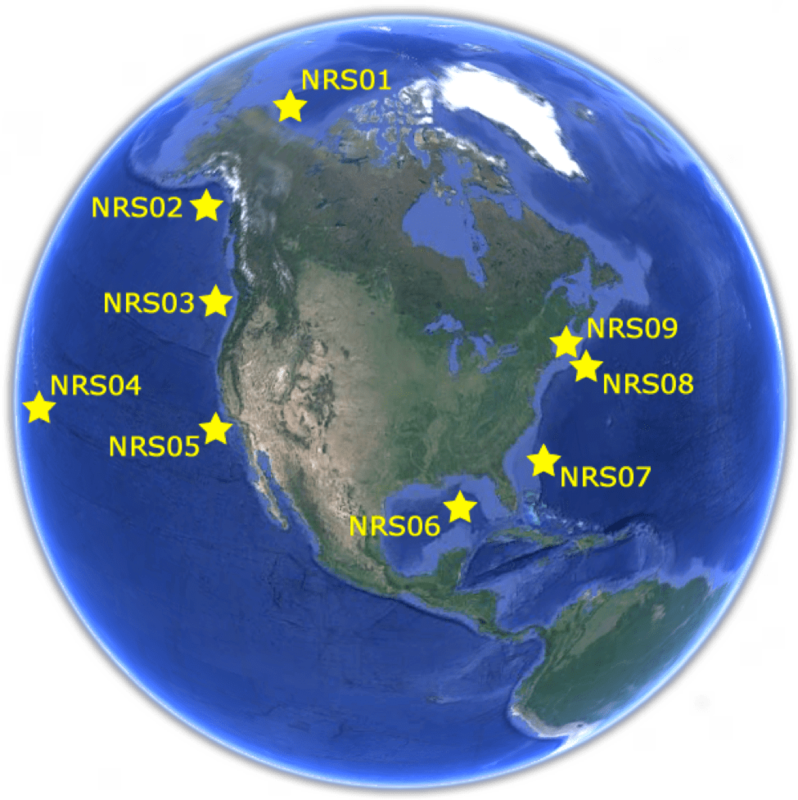 The NRS project recorders are all calibrated to the exact same specifications so we may accurately compare ambient ocean noise around the US and in NOAA sanctuary waters. NRS03 staged on the deck. 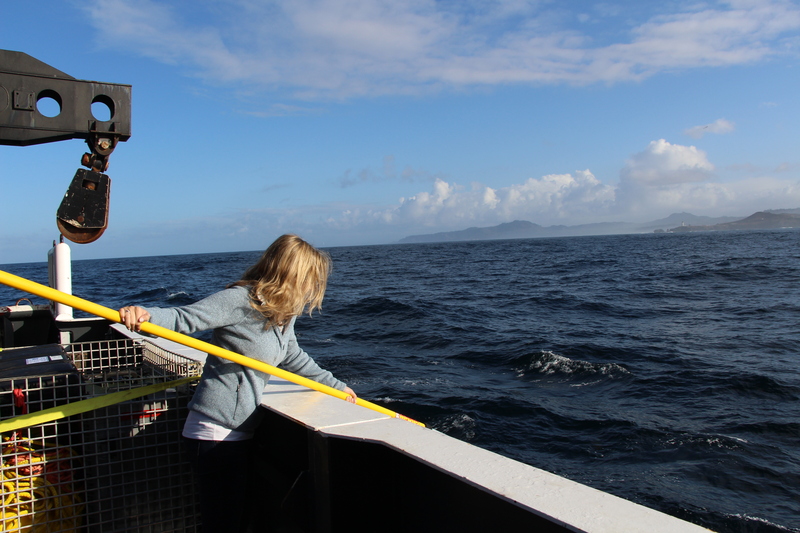 On this trip we were to deploy NRS station 3, off the coast of Washington State. We set sail out of Newport on a wet and windy day. 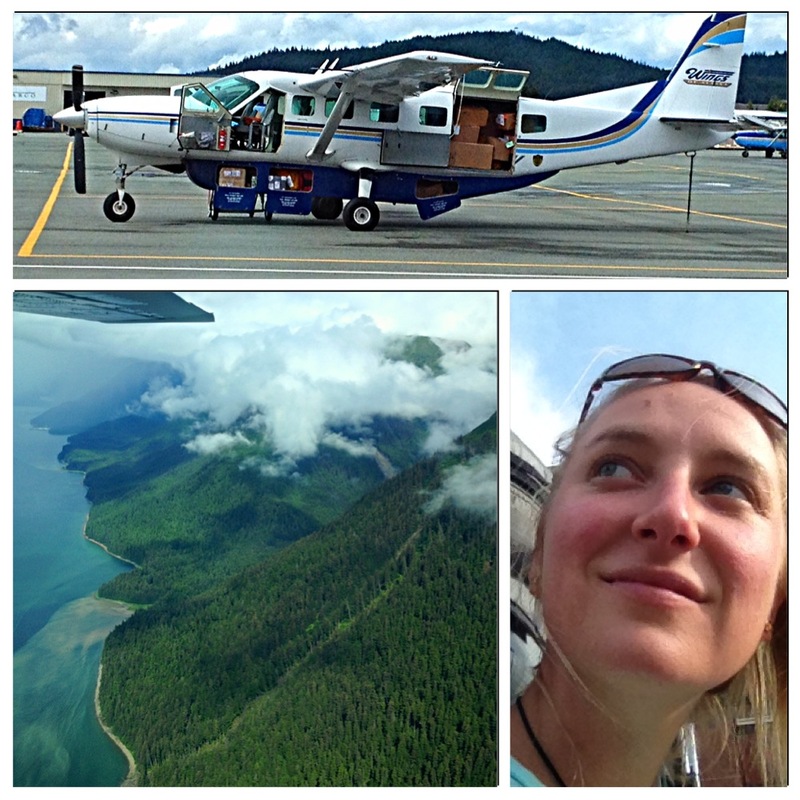 This was my first journey in the Pacific ocean, and the weather certainly lived up to my expectations! Avoiding the offshore storms, we started our trip by traveling north along the coast of Oregon. Cheif scientist Jay Peterson recruited a science crew of faculty, students, and volunteers and we were all assigned watches and jobs for our week on the Shimada. 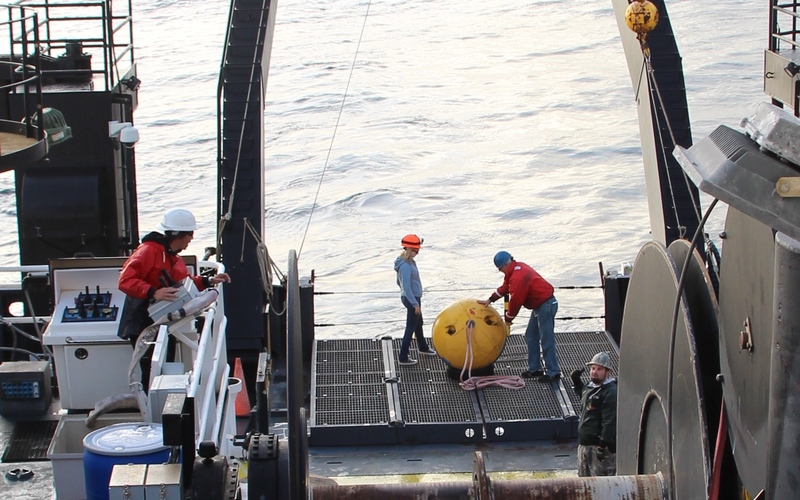 Between all of us we would process water samples (via CTD), jig for squid, dip-net for jellyfish, retrieve a NOAA DART (Deep-ocean Assesment and Reporting of Tsunamis) monitoring buoy, and deploy a Noise Reference Station. Suffice to say, we had a busy week at sea! 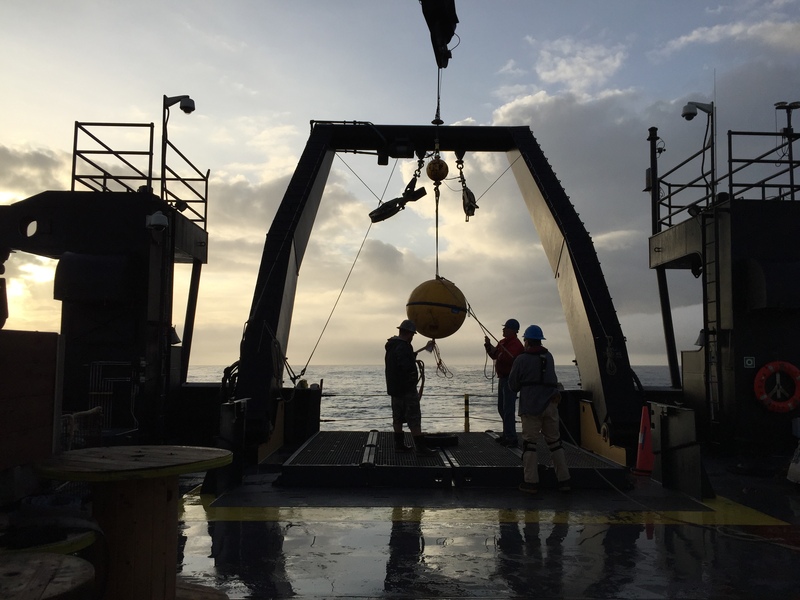 Preparing the float for deployment (photo credit: Megan Stachura) . Deploying the top float of NRS03. I was also able to help out with some of the other projects. Here I am helping to catch jellyfish for Samantha Zeman’s project. Trying to catch jellyfish in the dip net (photo credit: Megan Stachura) . 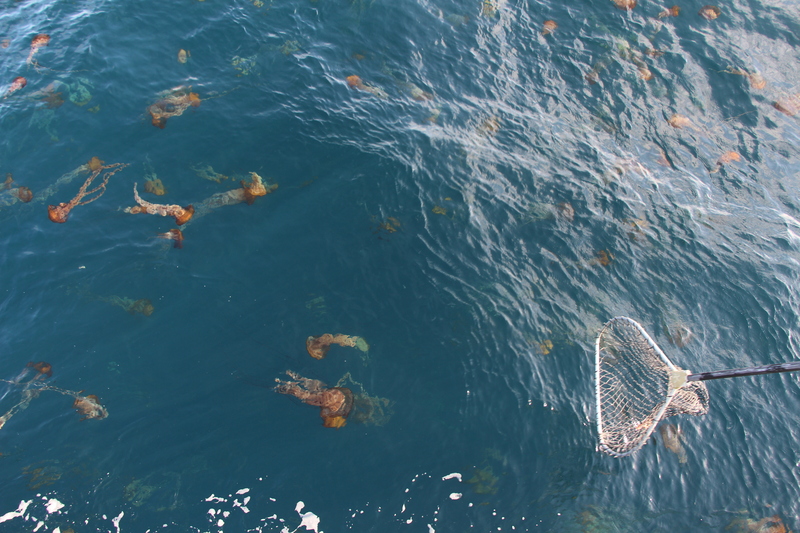 We came across a swarm of jellyfish on out way back into Newport (photo credit: Megan Stachura). It was great to have the opportunity to visit Newport before starting at OSU this winter, and I hope I get a chance to help with another deployment soon! Sorry Oscar, despite my deep respect and admiration to you I will have to object this one. Talking about the weather is lame; I seriously thought before. But I have changed my mind, since I moved to the Oregon Coast. Talking about the weather is lame at the cases that the weather is consistent, predictable and largely warm and sunny. 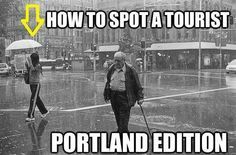 This is not the case at the Pacific Northwest. I often find myself complaining about the weather (this is my version of talking about it) since I moved here, and now it’s time to better look into it. Without my usual pout when I curse the rain, or my frown when it’s sunny but really windy. I am not grumpy in reality; I am just a bicycle commuter. That means that I don’t have the choice of a well heated, or at least a dry seat at bike-unfriendly times. 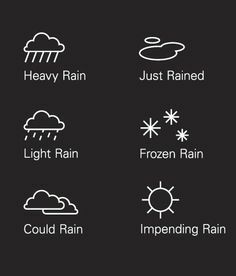 I am always exposed to the weather and it affects me every single day. I have been repeatedly soaked by the North Pacific rain and blown away by the Northerly winds (we name the winds from the direction that they come from) over and over again. Immediately when I arrived here I was warned about the horizontal rain that I had never heard of before and no umbrella could keep it off me. The wind is ruthless at the North Pacific. The truth is that everyone is affected by the weather and has his/her own relationship with it depending on where they come from, what they are used too and how their internal thermostat is tuned, and also on their personality. If you come from Greece, the Oregon Coast will appear cold, whereas if you come from northern France (clear reference to one of my housemates) it will feel like home. If you are outgoing and social the warm sunny weather suits you and defines you. If you are more of an introvert the rain and the low temperatures will provide the right conditions for you to stay home and enjoy solitude. 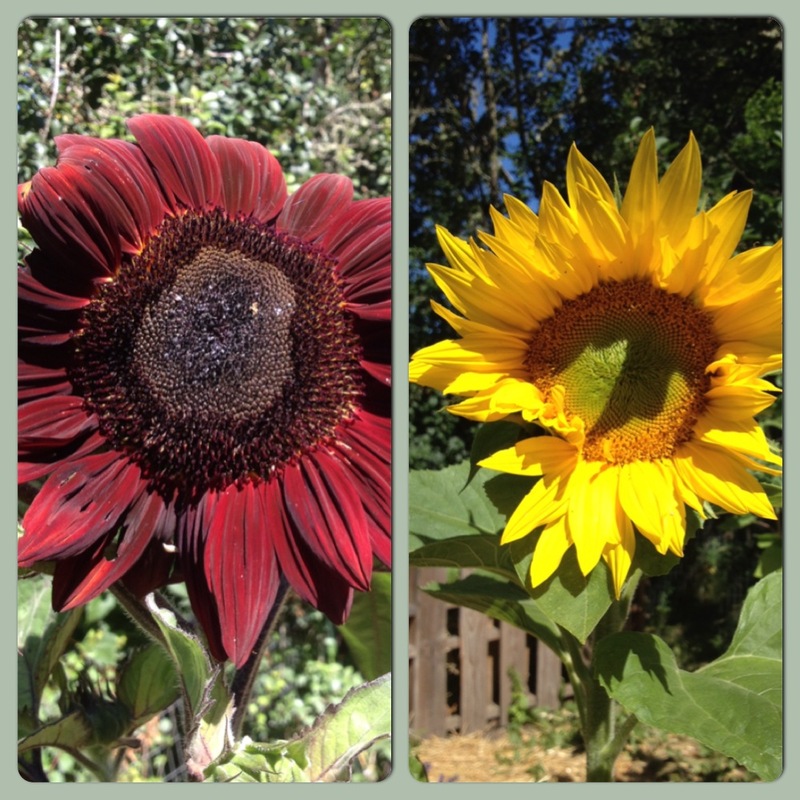 Research shows that the weather and particularly the sun affect our mood. I clearly see more smiley faces in a sunny day, mine included. Studies indicate a link between low pressure and suicide. On rainy days people report lower satisfaction with their lives. 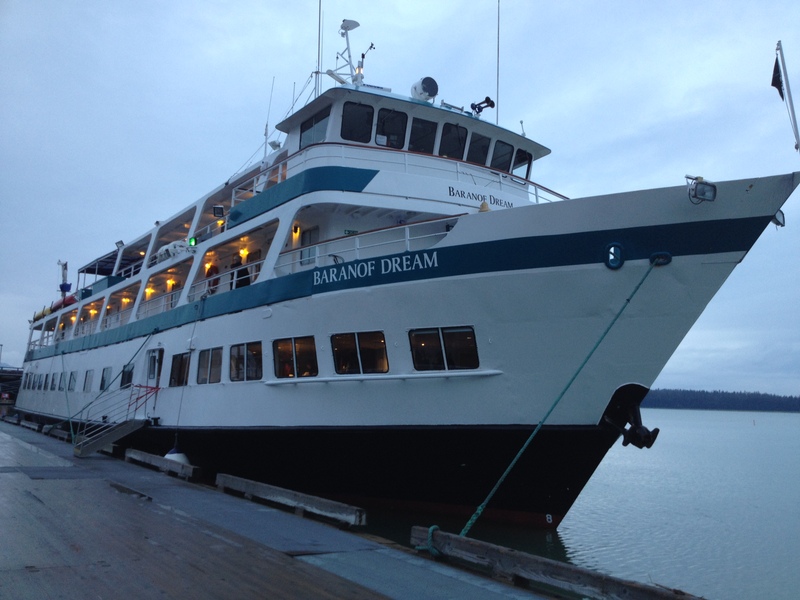 Now imagine how challenging it can be to be a graduate student in a tiny town on the Oregon Coast…! Overall, I think that the amount of energy that we receive from the huge flaming star on the sky defines who we are, and seems to be a driver of peoples cultures. I am certain that you also have noticed generic cultural differences among people that come from southern and northern regions in a global or even in a national scale. I might be judged for stereotyping but there is some truth to that. The animals care about the weather! Their distribution is defined by the climate together with other parameters. The sperm whales for example, being truly cosmopolitan, are encountered in the most parts of the world’s seas from the equator to the edge of the polar ice. However they have their temperature preferences. The females like it warm and don’t go to temperatures lower than 15°C. While the groups of females and young males are thought to remain in lower latitudes year round, the macho adult males have wider physiological demands and are encountered in polar areas. The sperm whales display a remarkable sexual dimorphism with the males being ~1.5 times longer than the females. The larger the size of the animal the more favorable is the surface-to-volume ratio. Even though they have a large surface area that they lose heat from, this area is small in relation to their heat-producing body mass. 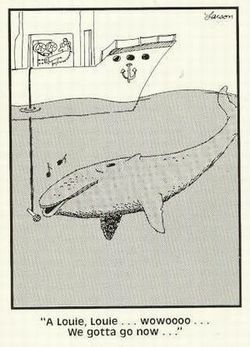 Thus the males can migrate to high latitudes, especially during summer months, to productive feeding grounds where they karaoke with my hydrophone located at the Gulf of Alaska. Within their calls I am sure that whales talk about the weather too because highly productive spots are identified, like upwelling areas and other cool places where plenty of food is available and the animals tend to aggregate. Though, the precise process that links the environmental factors in the open ocean with the distribution and abundance of large predators is difficult to be determined and is a major goal of my research. Investigating the oceanographic parameters that affect the movements of sperm whale populations is a particularly complicated matter since they feed on deep sea creatures (bathypelagic squid) and the linkages of physical forcing (wind, temperature) with primary productivity and aggregations of prey and predators are temporally and spatially variable. The propagation of sound in the oceans is largely affected by oceanographic variables (which are related to the weather) such as temperature, pressure and salinity. The speed that the sound travels underwater varies from area to area, season to season and different time in the day. Generally the sound speed increases when all the above variables increase. Since these variables change with the depth, the sound speed profile also changes with depth in the water column. High sound velocity on the sea surface where the water gets warmed up by the sunlight decreases down to the depth where the water temperature becomes constant (~1000m) and then it starts increasing again when the pressure increase is dominant. At the transition point where the sound velocity reaches a minimum (~1000m) it is formed a sound channel where sound waves get trapped and propagate really far away. This is named as the SOFAR (SOund Fixing And Ranging) Channel and some species of whales find it to be very useful to communicate with their friends, partners, parents, cousins and aunts that are immigrants to faraway seas. And to turn the talk-about-the-weather into a hot topic, consider what happens when climate change is introduced and the small talk becomes a conversation where personal ethics, political and social opinions are involved. More like loud talk now! Now that I said loud, did you wonder what is the effect of climate change to the sound propagation and consequently the whales’ communication, and you were afraid to ask? Ocean acidification, the decrease of the pH in the seas, is a notorious climate change impact. This increase of the ocean acidity changes how sound travels underwater: the lower the pH (more acidic), the ocean absorbs less sound and the higher is the sound speed. And now you are thinking: “Voila, the whales can be heard even further now!”. However, the reality is less comforting (as usually). 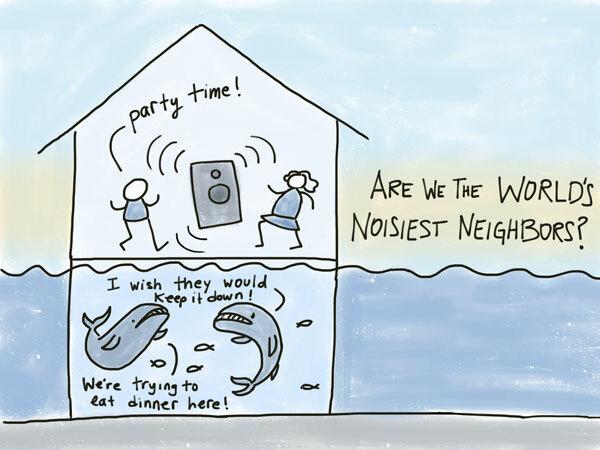 At the frequencies that the whales vocalize we make a whole lot of noise with shipping and naval activity, seismic exploration and other significant anthropogenic sound sources that interfere with the whales’ skype and consequent communication issues. Yep, ocean acidification makes the sound pollution in the seas into a magnified problem. Since the weather affects the ocean soundscape, then it can also be measured by the sound it makes! 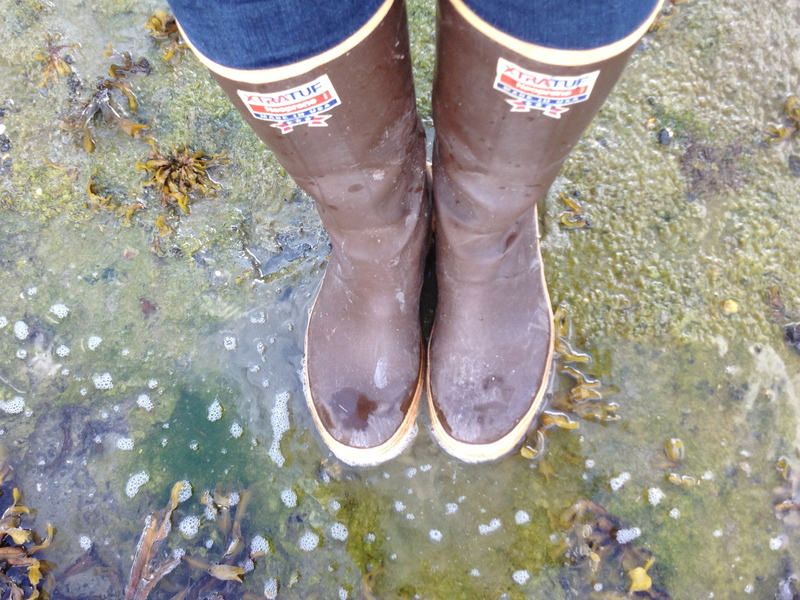 Rain and wind generate sound at the sea by producing bubbles during splashing at the ocean surface. These physical processes create different distribution of bubble sizes that have a different footprint on the soundscape. This way the sound from breaking waves (caused by the wind) can be distinguished from the rainfall sound and we are able to monitor the ocean surface conditions from below the surface. Huzzah, here is the solution to trying to measure wind speed and precipitation in difficult locations where the measured vicious weather elements can actually destroy the instruments that we use to measure them. The instrument that I use, the Passive Aquatic Listener (aka PAL) was originally designed by Dr. Jeffrey Nystuen to detect and measure rainfall and wind speed at sea. Lucky me, it works great with recording marine mammals too! Weather and bubbles talk. This is so scientific. By this point of this post I have been unnecessarily negative with the Oregon Coast weather which to be frank is what makes this corner of the world into a magical place. The northerly winds in the summer are the reason for the upwelling to take place and all the whales and other astounding marine life to move up this way for food. Seeing the whales from the beach or even just the balcony of your house is certainly worth suffering some cold winds. The world we live in is alive because of the winds. The wind is the breath and the heartbeat of the Earth. 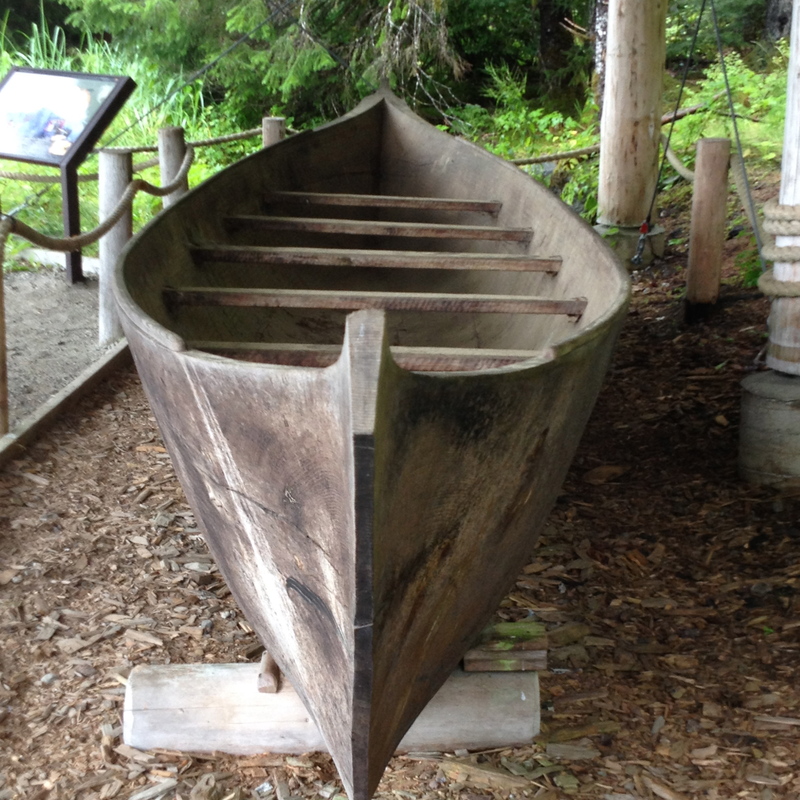 The rain on the other hand gives life to thriving and fairytale-like old-growth forests with splendidly diverse and abundant wildlife, fills the rivers and the lakes. 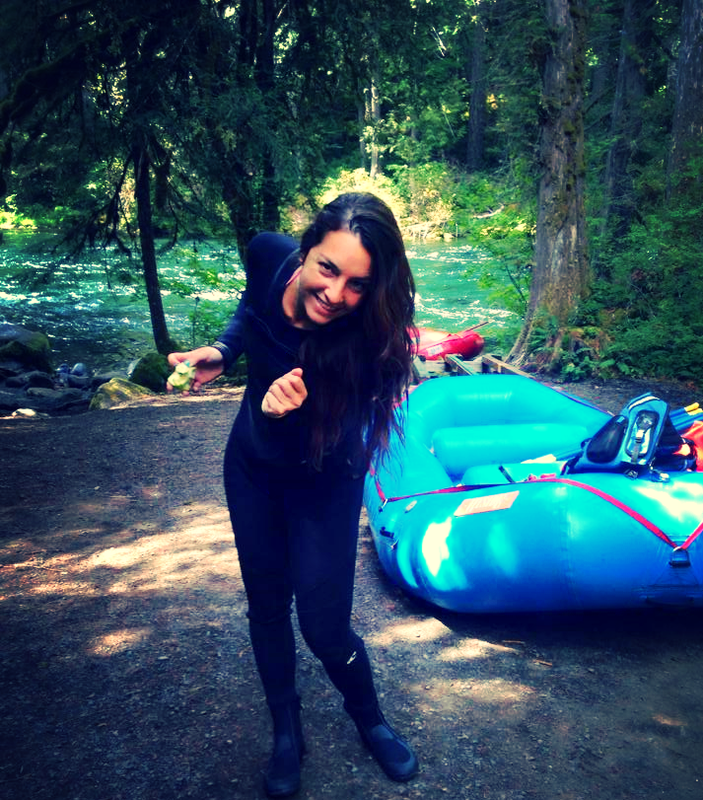 Did I mention how outdoorsy I have become? A question to you: do you also see an irony in the name “Pacific” or I am being grumpy again? Here it comes, a welcome wind: the wind of change. I am moving to the valley! Classes have started again here at OSU. I know this is old news for those east coast universities that start classes in late August or early September, but here in Ye Olde Oregon fall starts late… so school starts late. 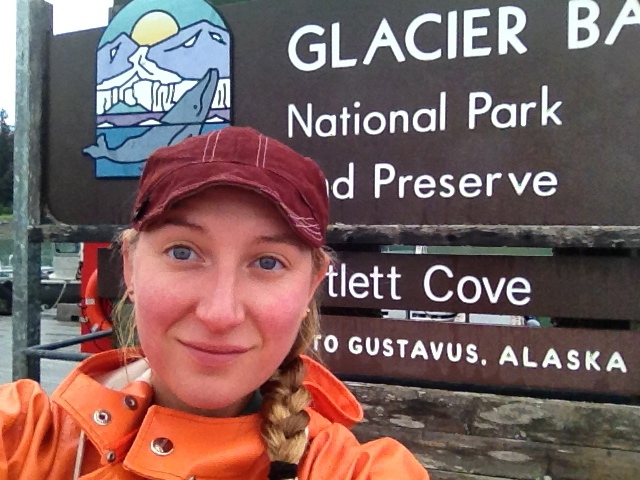 As a PhD student I’m no longer required to take classes at the university, and having just pushed the paperwork through on our National Park Service Grant I will soon be exclusively a GRA (graduate research assistant) and will no longer be required to teach courses either. For now, however, I am both student and teacher — taking classes and teaching them. 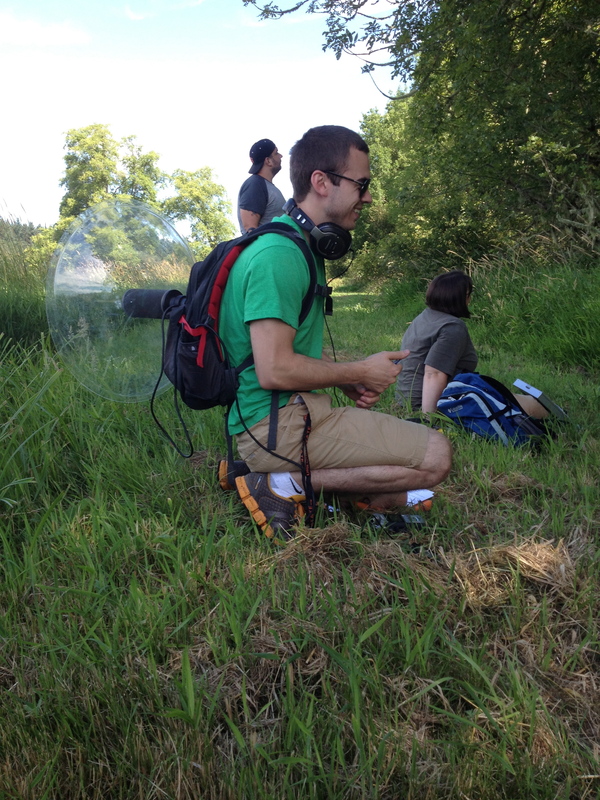 FW255 student James tests out the directional microphone during a playback study at Finley Wildlife Refuge. I love teaching. Rare for many researchers I know, but for me – true. I find it helps me to synthesize my thoughts, to approach science creatively and simply, and to consistently reference back to the basics. 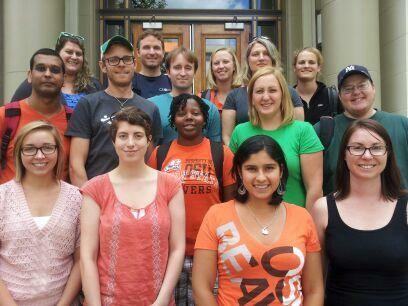 In my tenure as a graduate student at OSU I’ve been privileged to both TA and instruct classes in basic biology, ecology, intro to anatomy, physiology and the disease, marine biology, marine mammal science, marine habitats, and (my all time favorite) field sampling. FW255 — field sampling — is a required course for all of our Fisheries and Wildlife undergraduate students; I’ve been a GTA (graduate teaching assistant) under the brilliant and compassionate guidance of biological oceanographer and community ecologist Dr. Doug Reese for four quarters. 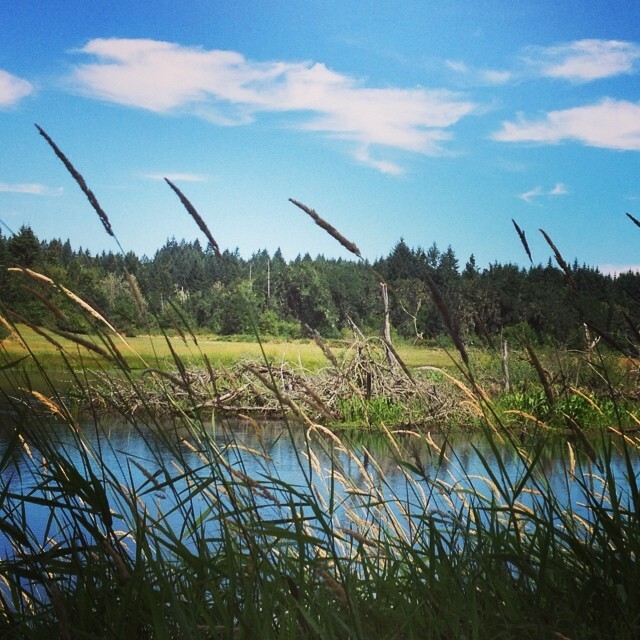 The course gives students the opportunity (under the instructors’ guidance) to design and execute field studies at the Finley Wildlife Refuge. Courses range from comparing predator habitat use, to investigating the impacts of beaver dams on water clarity, to chronicling avian community structure. I know. Our students are impressive, creative, young minds. For my part I see participating in this course as an opportunity to introduce undergraduate students to acoustic ecology. In my tenure I’ve guided students through studies that seek to aquatically detect amphibian species, investigate the impact of diel vs. nocturnal raptors on songbird communities, and studies that use acoustics (playbacks and recordings in this case) to test for territorial responses of red-winged blackbirds to encroaching yellow-headed blackbirds. Currently we’re starting up two playback studies; one study uses acoustic playbacks to investigate the impact of raptors on waterfowl, the other which will asses behavioral responses of elk to breeding calls (assuming we can find the elk — backup plan includes tracking elk and using trail cams. No student left behind here). While there’s a lot to love about teaching this class (I spend two days a week hiking through a wildlife refuge looking for animals, I can pay my rent each month), there are a few things that really strike me as I start up my fourth quarter interacting with out students in the field. First, I have a lot to learn. Whenever I start to feel like I understand something in its entirety, be it about ecology or about bioacoustics, a student asks me a question I don’t know the answer to. I then go home, look it up, and learn something for the both of us. It is simultaneously refreshing, inspiring, and humbling. Good qualities for any PhD student to embody. Second, teaching is valuable. While I believe that my research has, and will continue to have an impact of the world around me, when I teach I can see the impact. My students start the quarter not knowing how to do something (“What is a quadrat?”), perhaps lacking direction (a.k.a. don’t know how to operate a GPS), and are sometimes a little short in the inspiration department (“What study do you think I should do, Michelle?”), but when then leave? By the time my students hand in their final papers — a full scale research paper, intro, methods, results, & discussions, stats and all — I can see that they have changed (“We used a one square meter quadrat to investigate insect biodiversity between the upland forest and the agricultural lowland riparian zone”). Further, the relationships that I see unfolding in our class between the students and their groups, and the students and Doug and myself, are proof to me that doing science is a powerful tonic for a healthy life. Not everyone loves teaching, not everyone gets it, but for me (at least for now) it’s nourishing to put big picture impacts into real world perspective. So yes, I am a teacher. Yes, I am a student. The teacher is a student & the students are the teachers. But enough with philosophy (Niki’s really much better at that than I am). While 99% of the time I love teaching… no one can deny that this is also true. Cross your fingers and I may just graduate some day. Tethys and nowadays there are fossils at the Aegean islands to prove this intimacy. 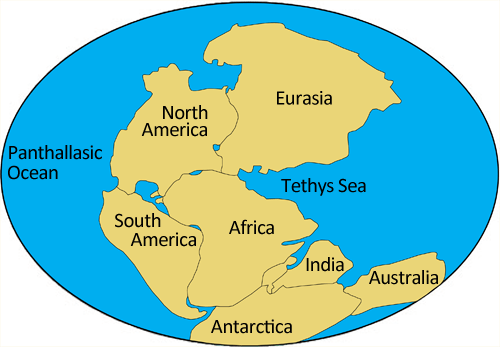 The Tethys Sea was named by Eduard Suess (don’t get confused, this is a different Dr. Suess ) after the Greek goddess Tethys. She was the daughter of Uranus (Sky) and Gaia (Earth), both sister and wife of Oceanus (there are no taboos if you are a god). The history of every major marine research has passed through 3 recognizable stages, those of: Survival, Enquiry and Sophistication. Otherwise known as the How, Why and Where phases. For instance the first phase is characterized by the question “how can I get funding”. The second, by the question “why do I do this research”, and the third “where in the world is the seawater warmer and clearer”. To answer the first question I wrote this post. To answer the second question, I wrote my previous blog. And for the third ultimate question about the meaning of life, universe and absolutely everything, eeeh I meant the sampling site, the ultimate answer: Greece! “Man had always assumed that he was more intelligent than dolphins because he had achieved so much — the wheel, New York, wars and so on — whilst all the dolphins had ever done was muck about in the water having a good time. But conversely, the dolphins had always believed that they were far more intelligent than man — for precisely the same reasons. The last ever dolphin message was misinterpreted as a surprisingly sophisticated attempt to do a double-backwards-somersault through a hoop whilst whistling the ‘Star Spangled Banner’, but in fact the message was this: So long and thanks for all the fish”. To avoid this sort of misunderstandings, bio-acousticians have been feverishly working on decoding the dolphins’ vocalizations. First step towards this direction is telling the voices of different species apart. Different species of cetaceans are known to produce different types of sounds, resulting from various factors such as morphology, genetics, ecology, sociality, and culture. For example, the calls that sperm whales, humpbacks and common dolphins produce are significantly different from each other in so many ways that are clearly distinguishable by an expert ear (and eye that inspects the spectrograms). This fact makes the lives of the bio-acousticians easier because it helps us to identify different species of whales and dolphins by just listening to them. Things though are more complicated than this. It has been shown that within the same species, some cetaceans tend to produce different sounds when they live in different areas. So the sperm whales in the Pacific produce codas (a type of vocalization indicative of sociality and communication) that are different to the ones of the Mediterranean sperm whales. Similar is the case for pods of killer whales that use different habitats and target different prey. Likewise, different geographic populations of dolphins that belong in the same species have different call characteristics. 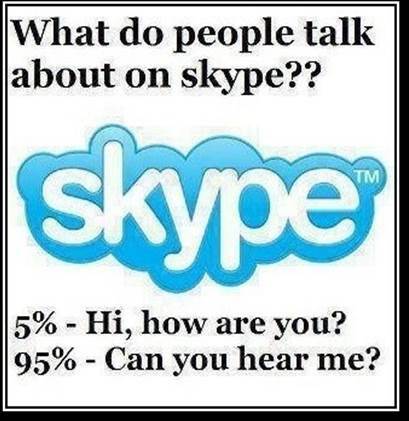 It is like speaking dialects or simply having an accent. The differences seem to be greater when the geographical distance increases. The geographic variations of cetacean sounds are usually divided microgeographically and macrogeographically. For instance the striped dolphins in the Mediterranean Sea produce different whistles than the ones in the Atlantic. 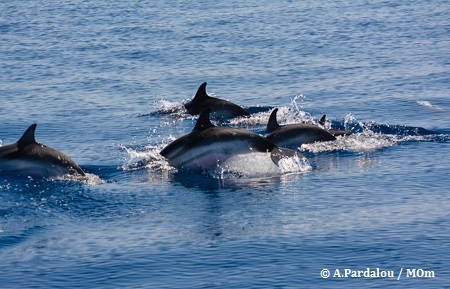 Also the striped dolphins that live in the western Med sound differently than the ones that dwell in the eastern side. Applying the same logic, the ones that inhabit the Aegean Sea will have a different “accent” than the Ionian Sea habitants. Past studies have revealed the existence of variations in the whistle acoustic structure of a striped dolphin within the different regions of the Mediterranean Sea. However the Aegean Sea is still an acoustically pristine place. The dolphins we encounter there (common, striped, bottlenose, and risso) have not been acoustically recorded (during visual encounters) and classified. YET! I return to the first survival question. If you have read my previous post you will probably remember my public invitation for funding to achieve the acoustic sampling in the area of my interest. In case you are not fortunate enough to study and work on the field with the charismatic megafauna, I should enlighten you into the specific requirements of cetacean research: HIGH BUDGET! Cetacean research is particularly expensive. Money for renting a boat, gas money for the boat, money for the boat crew (a captain at least is required) and money for the acoustic instrumentation. Because the times are hard and funding appears dimly or not at all in the horizon, I had to recruit some old skills of mine to make this happen. Hitchhiking skills (contacts also help, so get your selves out to these conferences)! 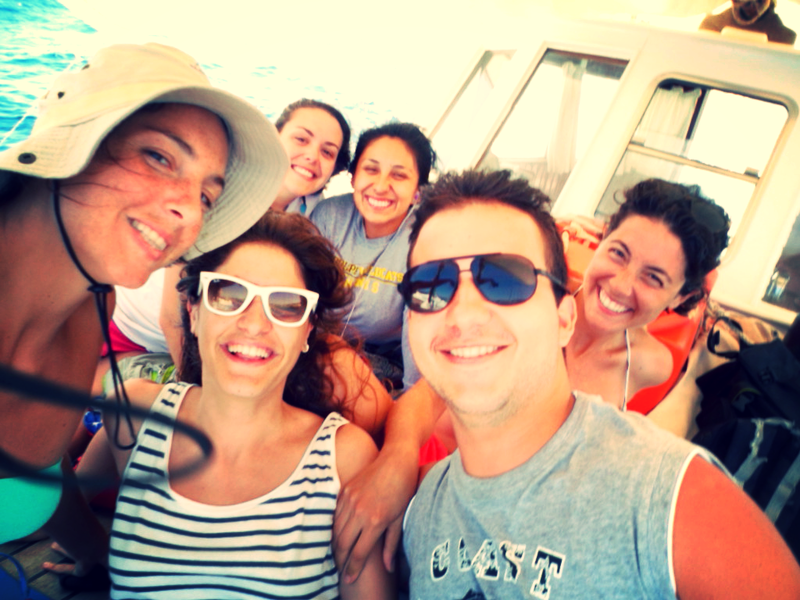 I first thumbed a ride when I was doing my undergraduate at the island of Lesvos, in Greece. With my friends we would hitchhike to the university which was slightly further from downtown. Too far to walk when you are already late for the morning lecture, too close to wait for the bus that has a very irregular schedule, too expensive for taxi while being a student, and just the right distance to be given a lift! That is when my hitchhiker’s career commenced. Now that I have reached a Ph.D level and I only possess a bicycle, my hitchhiking skills have equally improved and can be utilized for science. In this case, the thumb got replaced by emails, phone calls and meetings. 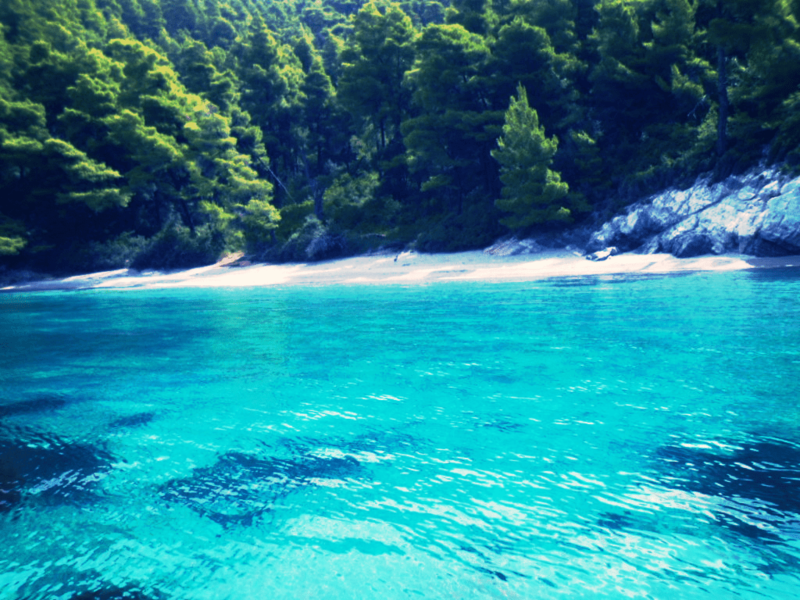 here, it is founded the first Marine Protected Area in Greece that happens also to be the biggest in Europe. 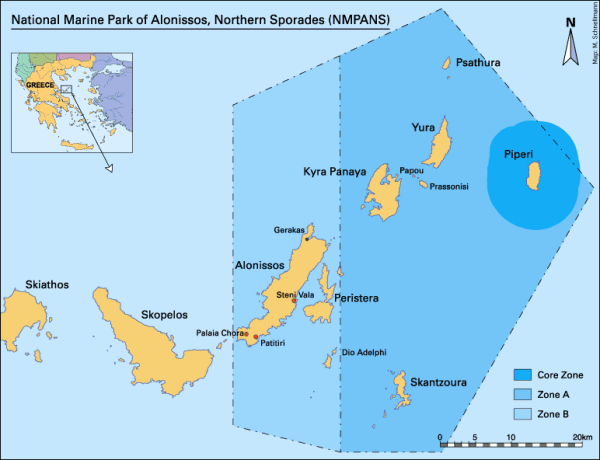 The marine area around Alonissos Island, together with 6 more islands, 22 islets and rocky outcrops is one of the few remaining habitats of the Mediterranean monk seal; the only seal specie in Med. In the past, the monk seal was very common all along the Mediterranean coasts. nd regulations that limit certain anthropogenic activities that could interfere with the animals’ welfare and the population’s survival. To impose these regulations and ensure the good management of the reserve, the guards of the Marine Park patrol daily the marine protected area. And this is where my thumb comes up. 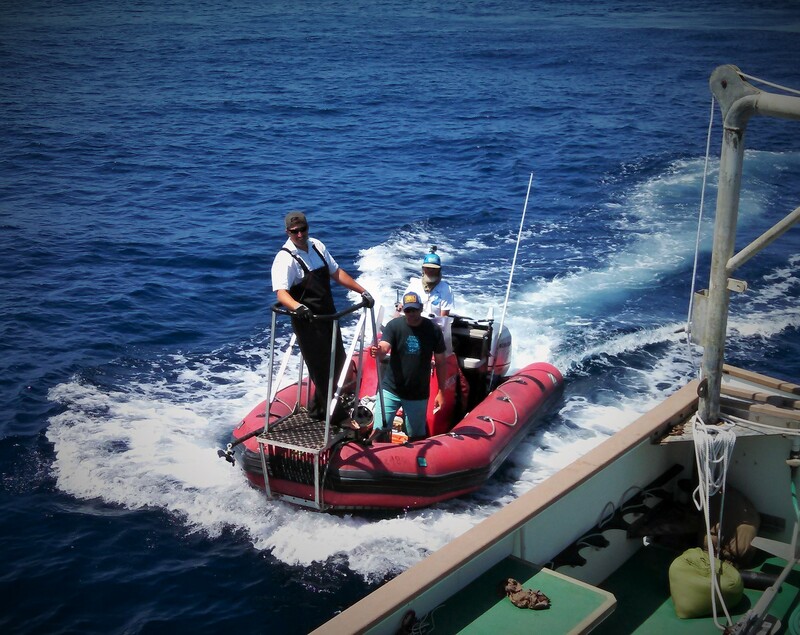 The lovely people that work for the Marine Park accepted me on their daily patrols, allowed me to get on their boat and look for dolphins while they were looking for any illegal activity. So I bought a big hat, I got my dipping hydrophone, swimming suit as my uniform and my Dolphin Quest began! First day on the boat was mind blowing! Traveling with 35 miles/hour, stop every now and then to exotic locations, blue caves, a long break to rest the engine and the guards, have some drinks and swim in turquoise water coves. Marvelous sites that few have had the chance to visit. And you will rightfully ask: did you find the dolphins? No. But it was a good way to break the ice! The following days were much more effective. I explained that for the purposes of my research we would have to go slower. As a hitchhiker I hesitated to reinforce my own rules to my hosts but soon our zodiac was going with 15 miles/hour and had 2 extra visual observers on board scanning the horizon for dorsal fins and splashes. Still though, no dolphins in sight. Fortunately dolphins are curious creatures and if the boat is not too noisy they will swing by for a bit to check it out and hopefully play with its wake. Just like this. Eeeeeh, I wish. A couple of days went by without any dolphin luck. And the thump comes out again for extra rides. I needed more time in the sea. seal sighting first thing in the morning and a big group of striped dolphins that we were able to stalk for a while. Stalk and eavesdrop on their conversations! This raised my expectations. My days passed with me jumping from the one vessel to the other exploring extensively the N. Aegean Sea. But without enough dolphin sightings. And while I was trying to compromise with the idea of having only striped dolphins’ recordings and thinking of the shift I would give to my research, disappointingly looking for any dolphins, the common dolphins appeared and gave me hope again! Fortunately, trustworthy hope. Later on the same day a mixed group of common and bottlenose dolphins was having a long dinner close to our boat. After recording them for long time, I did not resist jumping in to the water. There were far enough to not be interrupted by my presence but close enough to hear them while I had my head underwater. I was shaking with excitement. Dream comes true. Check. My field trip ended with recordings from 3 different dolphin species, 2 monk seal encounters, countless seabirds, and 3 illegal spear-gun divers. The sea CSI in action! The only problem was that I had to go. Too soon I think. But would there ever be a right time to leave this heavenly place? Do you want to implement research but you don’t have funds to do it? DON’T PANIC. There are ways and alternatives. Consider the hitchhiking method. It is an inexpensive way to do your sampling and it essentially means collaborating, meeting people, working together, sharing and having a common direction. I assure you, it’s the journey not the destination that matters. 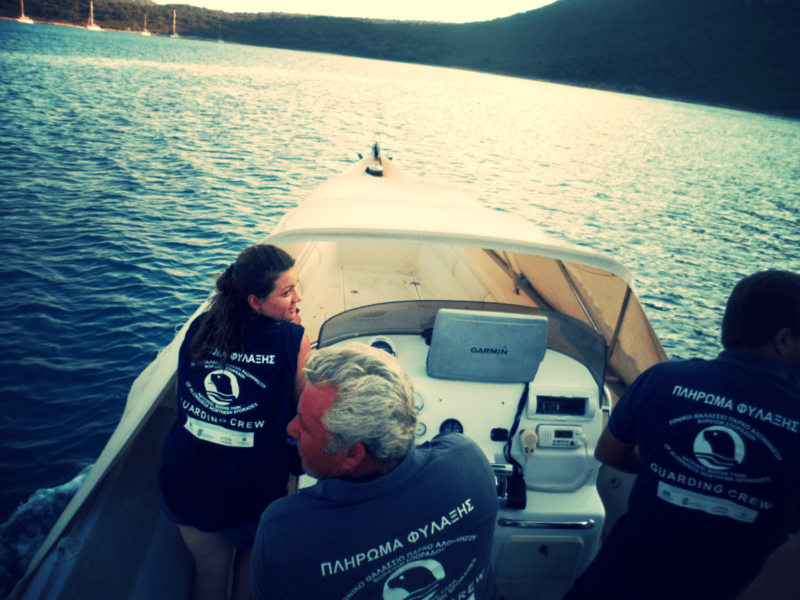 My gratitude to the National Marine Park of Northern Sporades and MOm, the Northern Aegean Dolphin Project, for their hospitality and help. Definitely worth a visit and I am already craving my return! So long and thanks for all the dolphins! 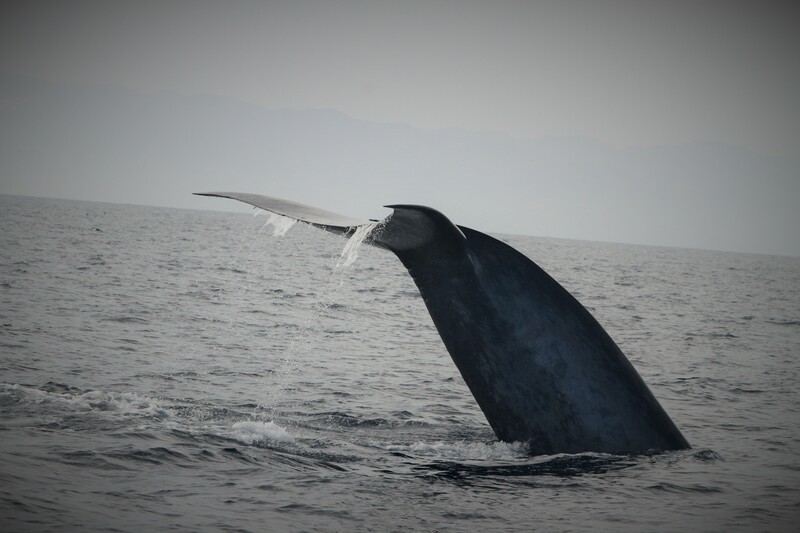 Tagged blue whale off the coast of Southern California. Taken under NMFS permit #14534 by J. Calambokidis. 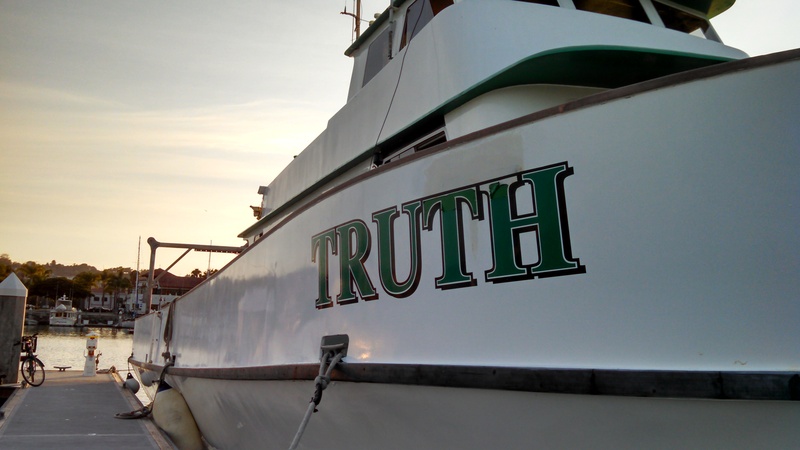 Today’s blog comes from aboard the ‘R/V’ Truth (well technically I’m at Starbucks now, yay wi-fi). I’m down in Southern California for two weeks working on the SOCAL-BRS project. This is a multi-year effort to study the behavior of marine mammals in the Southern California Bight, specifically the reactions of these protected species to specific sounds including naval sonar. All this will help regulatory agencies better understand the risks and effects of sound exposure to marine mammals so they can make more informed decisions. I’m here as an associate scientist with Southall Environmental Associates, Inc, but this project is a huge collaboration. I get to work with folks from Cascadia Research Collective, the Friedlaender Lab at OSU’s Marine Mammal Institute, Moss Landing Marine Laboratory’s Vertebrate Ecology Lab, the Goldbogen Lab at Stanford’s Hopkins Marine Station, NOAA’s Southwest Fisheries Science Center, Navy marine mammal research personnel, and of course the amazing crew from Truth Aquatics (our boat charter) out of Santa Barbara. A tagging boat dropping off some gear. BRS stands for Behavioral Response Study. My master’s research is all on testing the potential use of a new kind of tag for these types of studies, so I’m very lucky to be participating in such a project for my third field season. 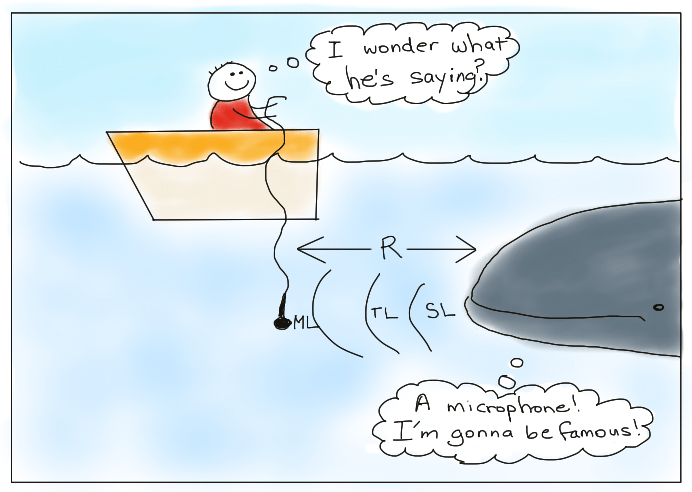 Currently, these types of studies use tags that combine fine scale behavioral sensors and passive acoustic recorders (in our case, DTAGs developed by folks at Woods Hole Oceanographic Institute) to monitor potential changes in an individual animal’s behavior in response to a controlled sound exposure projected from a boat. This project is really important for investigating exactly how marine mammals are affected by anthropogenic noise such as naval sonar. The whole database set up….so many wires! 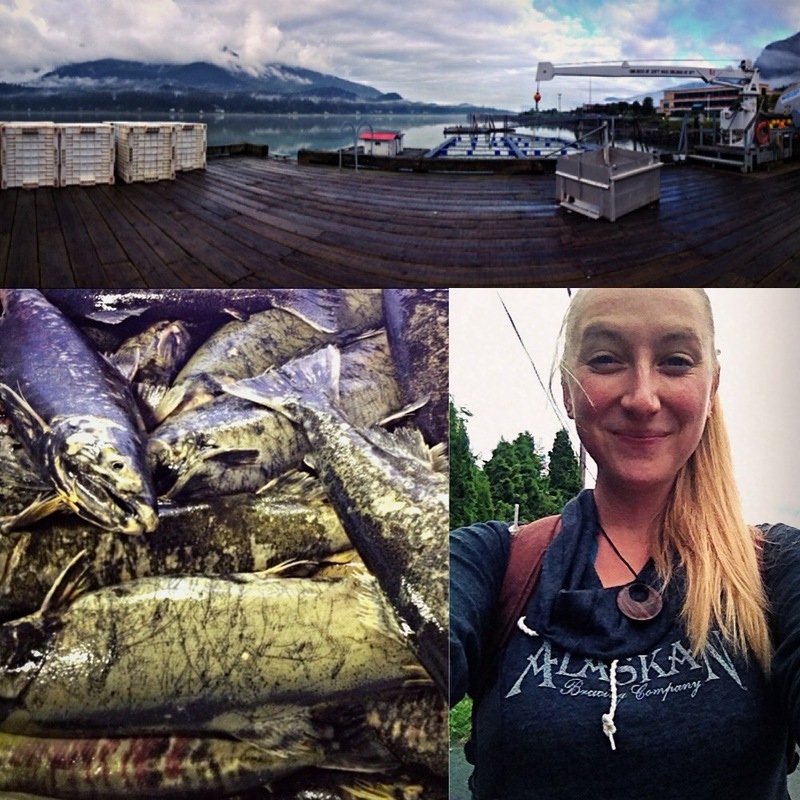 WILD in the midst of a busy afternoon is filled with boat tracks, instrument deployments, and animal sightings! I sort of have a bunch of jobs on the boat. 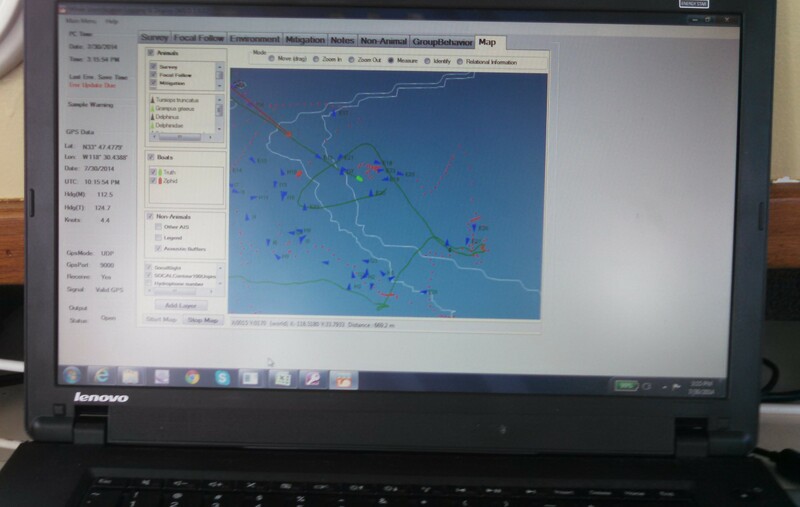 My main duties are as database network manager and operation of WILD (Whale Identification and Logging Database) software that allows us to combine location data from our three research vessels, animal sightings from our visual observers, and instrument deployment from our various teams. I serve as an assistant for Chief Scientist Brandon Southall, helping him coordinate the different science teams and directing the captain when Brandon is out on one of the small boats. I help with radio telemetry, visual observations, and try my best not to get sunburnt. Oh…and this year we have a smoothie bar! So I moonlight as smoothie barista due to my incredible smoothie-making skills. There is some downtime while we are on the search for whales (great time for catching up on scholarly reading!) mixed with crazy hectic long days when we’ve got multiple tags out and successful playback sequences. I just wanted to share some pictures of the daily grind, and daily gifts, for those of you who are land locked. Check out all those links above to learn more – especially the official SOCAL-BRS’ blog. 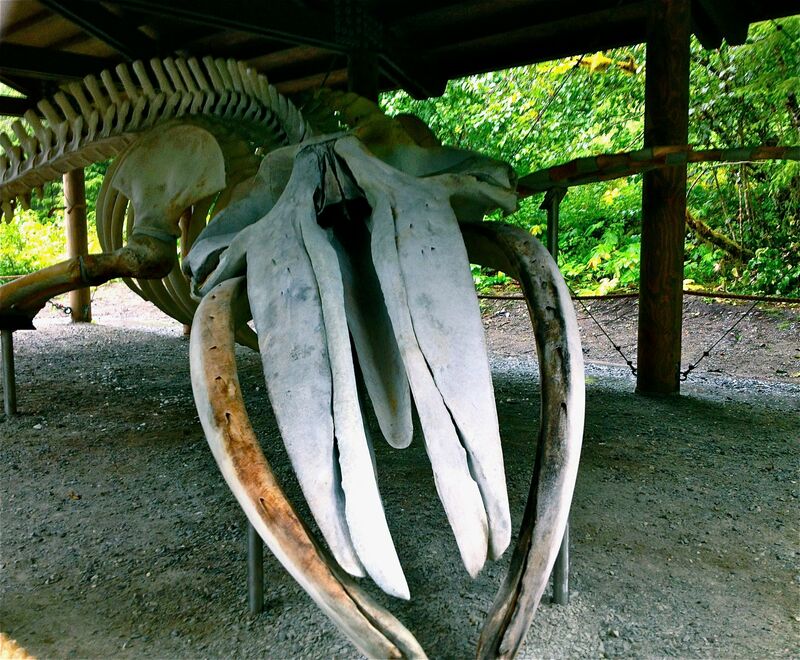 Blue whale flukes. 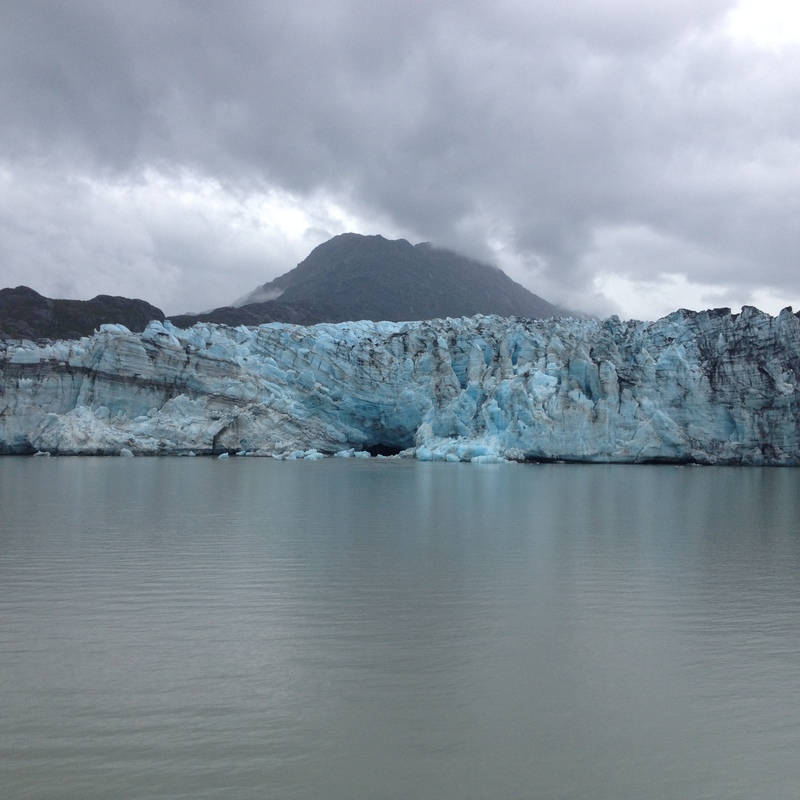 Taken under NMFS permit #14534 by J. Calambokidis.